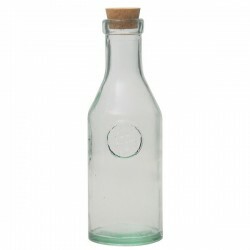 Recycled Glass Drinking Bottle 1L. 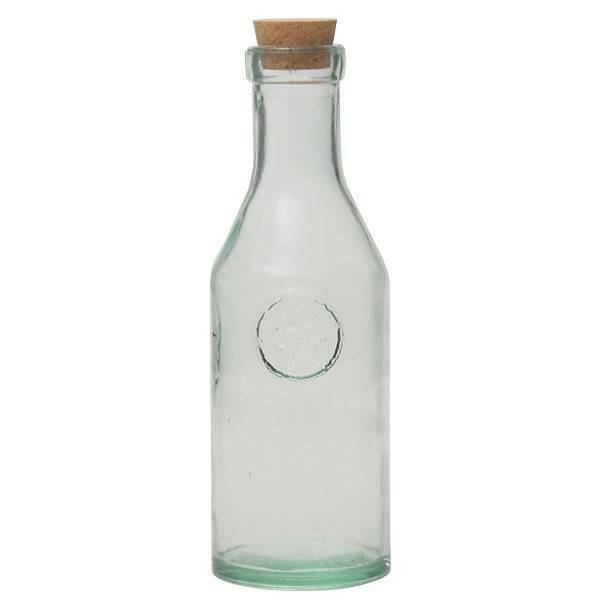 This Recycled Glass Drinking Bottle 1L. 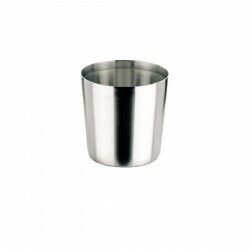 is perfect for storing your drinks as well as serving them at the table. 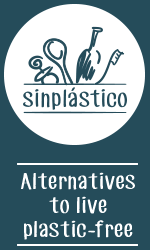 It is the healthy, environmentally friendly, zero waste, and elegant, with a vintage touch, alternative to plastic bottles. 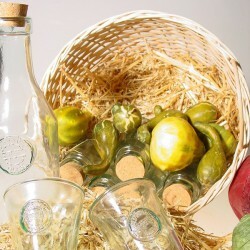 100% recycled soda lime glass, AUTHENTIC collection. It comes with a little spout in order to avoid any unwanted spilling. The relief of the bottle shows the "Authentic" logo . The cork must be handwashed. 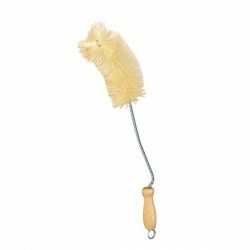 For a thorough cleaning and to remove traces of milk fat, whether of animal or vegetable origin, we recommend using either the Bottle and Baby's Bottle Brush Ø4,5cm. 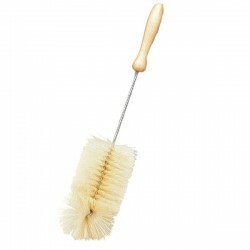 or the Wooden bottle and baby bottle brush Ø6cm. 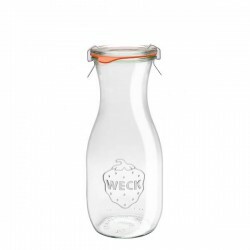 Bottle Height: 28,5 cm. (30,5 cm. with the cork). 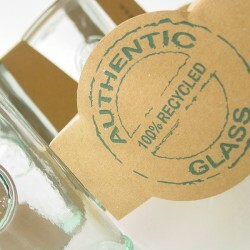 Please note: Since these bottles are made from 100% recycled glass, there can be some anomalies and imperfections. 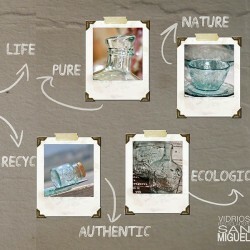 Think of each as a unique recycled bottle. 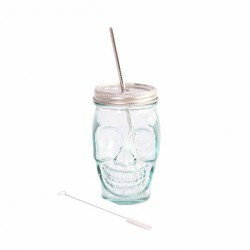 Skull-shaped Glass with stainless steel Lid and Straw 450ml.